An amphora is many things to many people: it might be a large clay jug, a vessel in which to store liquids and foodstuffs, or the entire process of producing wine slowly, methodically; and it’s the oldest, very special wine from Kabola – Amfora. Producing wine from amphoras is almost unheard of today, but it’s actually nothing new: the early Greeks and Romans produced wine this “natural” way for hundreds of years long ago. 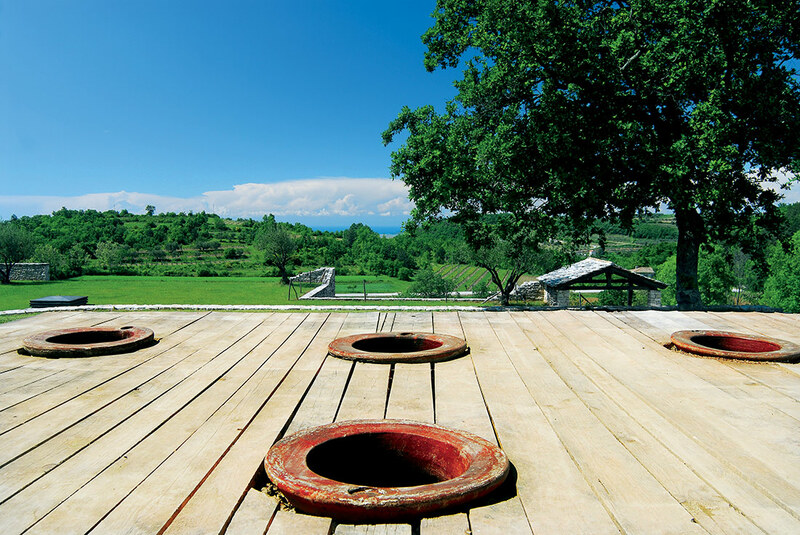 Marino Markežić, however, is an exception; he’s one of only a handful of vintners in Europe producing wine using the amphora method today – in Kremenje, a (very) small settlement in the northern reaches of the Croatian Istrian Peninsula, only a short drive from the Slovenian border. Amphoras – essentially giant terracotta casks or jugs – aren’t easy to get; Marino imports them all the way from the Republic of Georgia, where they still make wine according to the (very) old world ways. The largest of them, hauled for days strapped on the backs of flatbed trucks, hold 2,000 litres; the smallest, 500. Once picked, the grapes – a hearty local variety of muscat – undergo a maceration period of a whole seven months, at temperatures of 12 to 20 degrees, in amphoras sunk a couple of metres into the ground. After sitting more than half a year in the cool dark of the amphora, the grapes are crushed and the liquid is stored in oak casks for an entire year, taking the natural tannins from the barrels the whole time – naturally. What results is a wine stronger in taste and structure, because it sits in maceration not a (standard) single day but seven straight, cool months. The clay-earth from which the amphoras are made also lends, Marino offers, the wine a special taste. 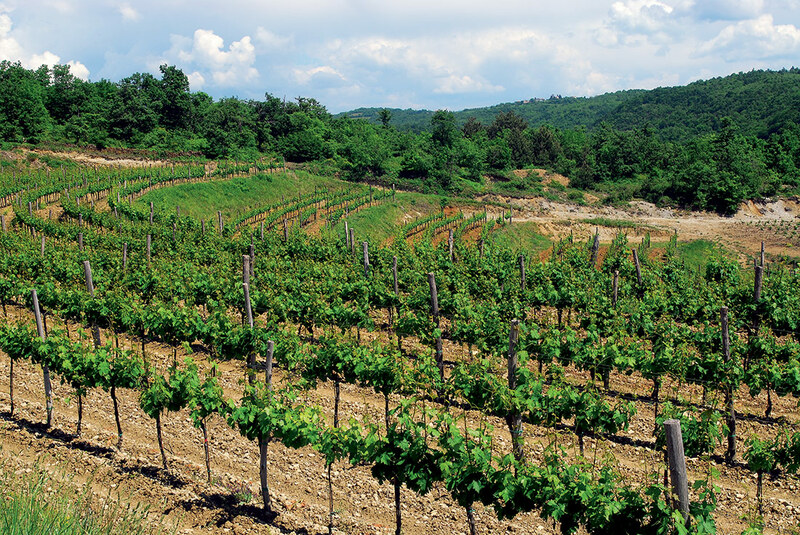 Marino believes the most important part of the process begins in the vineyard, in the production of good, strong grapes. And he’s proud to point out his grapes are all natural, and receive no chemical or enological treatments, no additives, whatsoever. 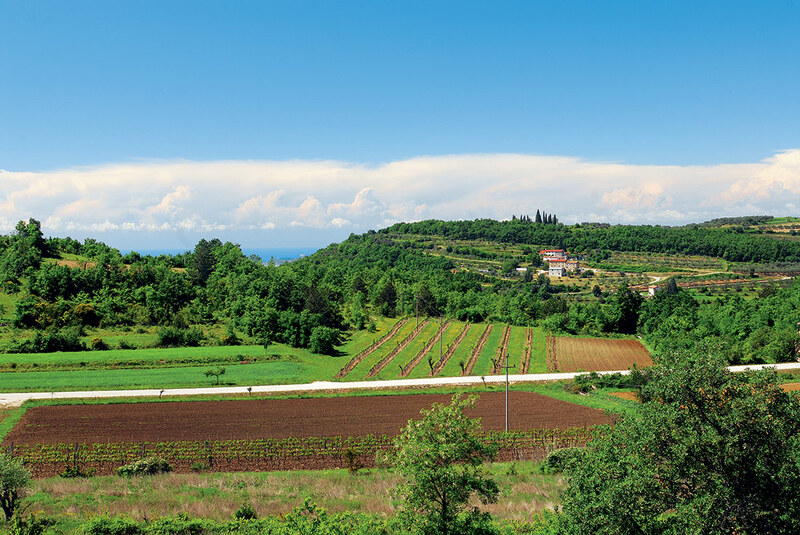 His fields, some kilometres from the centuries-old winery property, get the best of both element-worlds: some 200–350m above sea level on sloping hills facing south-west, they get generous sun and the breeze blowing from the sea visible in the near distance. He sells some 50,000 litres of his numerous Kabola wines to restaurants, wine stores and distributors annually. But Amfora isn’t, Marino explains, a “normal” or everyday wine but is meant to be enjoyed on special occasions: “Other wines have a far narrower food-taste spectrum, whereas amphoras can be served with a wide range of meat and fish”. He’s also convinced it – and wines like it – will be more popular in the coming decade.